Andorra is a small landlocked country in southwestern Europe, located in the eastern Pyrenees mountains and bordered by Spain and France. It is the sixth smallest nation in Europe. Its capital, Andorra la Vella, is the highest capital city in Europe, being at an elevation of 1023 metres. Andorra is a prosperous country mainly because of its tourism industry, which services an estimated 10.2 million visitors annually, and also because of its status as a tax haven. 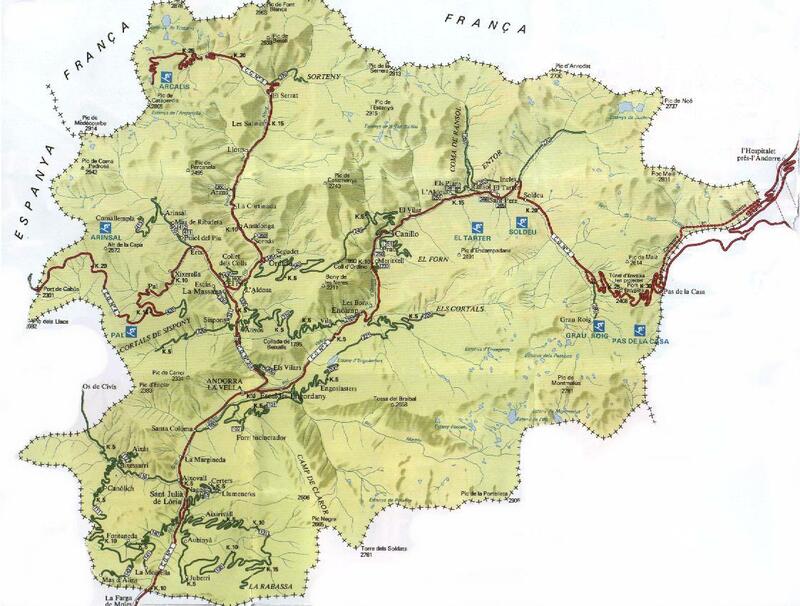 Map of Andorra (Small Overview Map). 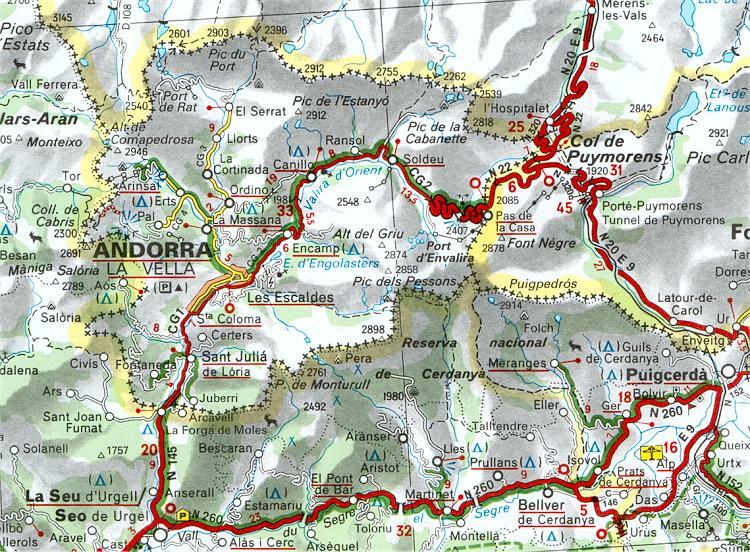 Map of Andorra (Overview Map). Map of Andorra (Political Map). Map of Andorra (Relief Map). Map of Andorra (Street Map).